The space tells the story. Architects have long known that well-designed space can frame and direct human behavior. Too often, office design ignores this and proceeds to lavish wasteful workspaces on the company’s senior executives while relegating rank and file employees to supposedly “collaborative” open plan offices. Any truly open and innovative company culture starts with workspaces that reflect the signature values of the company. What are those values, and how are they built into the work environment? The space tells the story. 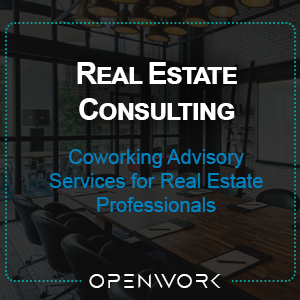 At OpenWork, we have a combined forty years of planning and managing thriving coworking spaces. We understand what types of activity based workspaces enable knowledge workers to align their work activities with the most appropriate spaces. The knock-on effective is that employees are more engaged and more productive. We believe that when employees are empowered to work according to their own rhythms and are also provided fluid and multifaceted places to plug in and work, that company culture can be positively shaped in the process. We see it everyday.